Just Romantic Suspense: Career Achievement Award! I mentioned last month that I was off to attend the Romantic Times Convention in Atlanta, Georgia, and my husband was coming with me, which was lovely. I’ve returned to the UK clutching a much-appreciated Career Achievement Award in my hand from RT! It’s such an honor to be given this award by them, “in recognition of the whole body of my work to date”. This doesn’t, of course, mean that I’m going to stop writing more books—far from it. Today is publication day of the last book in the Amazon #1 Knight Security romantic suspense series. It’s Ethan’s story, which so many of you have asked for, so I hope you enjoy it. 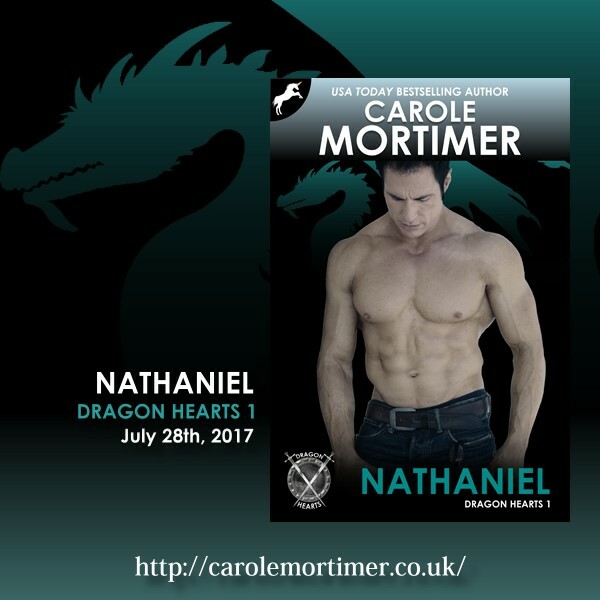 Coming up next in contemporary is a paranormal romantic suspense series featuring dragons. Yes, I did say dragons. I am really excited about writing this new series. The first book, Nathaniel (Dragon Hearts 1), is now available for pre-order from all ebook retail sites. Hope you’ll decide to come along on this new adventure with me! Next month sees publication of Wicked Surrender (Regency Sinners 2), the 2nd book in my hot Regency, Amazon #1 romantic suspense series. I have just sent the finished manuscript to my editor in the US, but I’m really pleased with this story and hope you will be too. I almost forgot—Taken by the Earl (Regency Unlaced 3) is currently on sale for 99c on all ebook retail sites, but only until the end of May. As always, the books in all these series are super-hot. So enjoy!